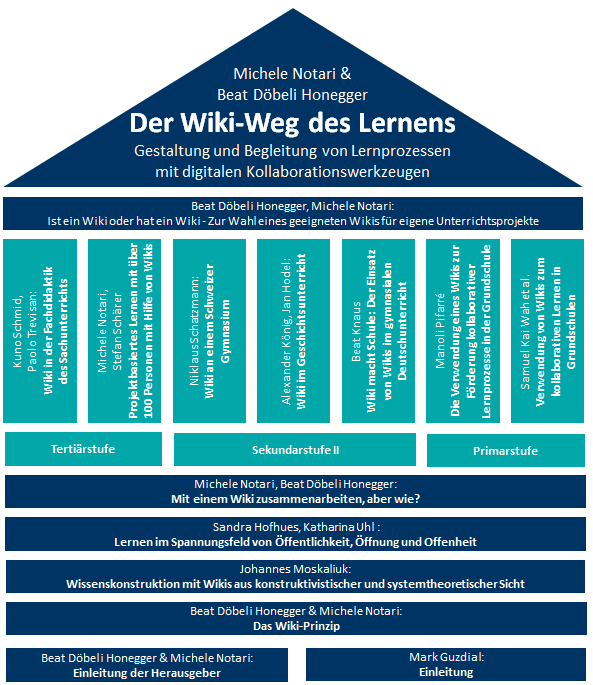 The Wiki-Way of Learning’ written by over 10 authors from different countries is describing a theoretical approach of learning using collaborative technologies, scaffolding models and contains many hands on examples of using collaborative Web pages with learners ranging from primary school up to university level. Target audience includes lecturers, teachers and preservice teachers. We deleted a sentence and introduced this sentence...... Such description enables readers to look into Wikis with the focus on its content and content creation process. Last but not least, different examples of tested and reflected learning scenarios using the two models and the Wiki described above are presented. Two of the presented learning scenarios have been set up and tested in Hong Kong and Mainland China. A more ‘hands on chapter’ delivers information around strategies for setting up a learning unit using the ‘Wiki-Way of learning’ and about how to choose the appropriate and most suitable Wiki-engine in a particular education setting.